Warning: This article contains massive spoilers for Us. 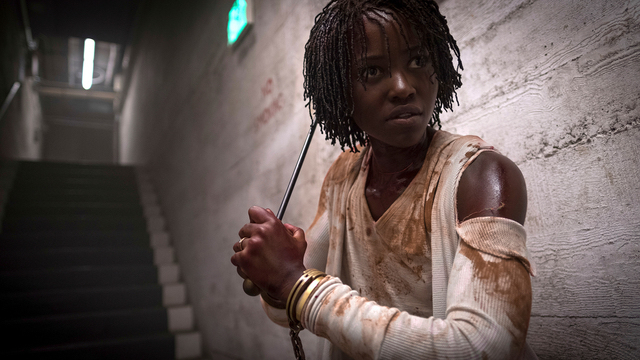 In this week’s edition of Weekend Watch, we’re dissecting the ending of Jordan Peele’s sophomore directing effort, Us. You can find our review of the film here. Suffice to say that the film is worthy of a deeper examination with full-on spoilers ahead! First up, we have a duo of videos that try to make sense of the film’s ending. After that is an exploration of a potential plot twist that might be hidden in the film’s backstory. Next, we’re taking a bit of a detour to listen to an excellent podcast discussion that dives deep into the various aspects of Us. Then we’ll explore the possibility of a shared universe between Get Out and Us. Closing things out, we have a neat video that takes a look at some of the things that audiences may have missed in the film. Starting things off, we have a video from Gamespot Universe that explains the ending of Us. This video does an excellent job of explaining the complex plot of the film.efore It also examines it’s underlying meanings, b breaking down the film’s twist ending. The video also explores Adelaide and Red’s motivations and the smaller details that inform their relationship. They also delve into the way that Us explores duality, both literally and metaphorically. Additionally, they touch on some of the many visual motifs that appear throughout. Our next video comes from New Rockstars. It provides further insight by exploring some of the smaller details that go unexplained. Despite it’s title, this video does an excellent job of trying to fill in the gaps that Peele intentionally left ambiguous. Although there’s some repeat information here, it also covers some of the smaller clues early in Us that hinted at it’s final twist. Why is “Hands across America” such an important part of the story? You’ll get that answer here, while further pointing out the symbolic importance of “11:11. Most importantly, it makes the case for a second plot twist hidden within the ending. Speaking of the potential for a secret plot twist, the second video from deffinition delves further into the possibility of this theory by examining the evidence for it. After the required recap of the film itself, the video lays out some of the details throughout that might lend credence to this theory. It’s hard to accept this take with more than a grain of salt. But the possibility of this potential second twist is certainly intriguing to say the least. Up next, we have a spoiler-filled podcast from /Film Daily, that tries to get to the bottom of all the burning questions that Us raises. Although this is a bit of a departure form what we normally do here on Weekend Watch, this podcast episode is intriguing enough to include. There’s some repeat information here, but this podcast episode does a really nice job of bringing multiple interpretations of Us to the table. In particular, this episode does a good job of exploring the many thematic implications that the film raises, an aspect that is sure to be discussed for a long time. Do Us & Get Out Exist In The Same Universe? Our next video, which comes from Flicks and the City, takes a look at the possibility of Us and Get Out taking place in the same universe. Even though it’s highly unlikely, this video gives a nice overview between several of the connections that the two movie share. By juxtaposing the events of both Us and Get Out into a Peele-Verse timeline of sorts, they make a compelling case for the idea of a shared universe. Finally, we have a video from CZsWorld that breaks down many of the various Easter eggs in Us. Starting with the bevvy of references in the prologue of the film, we also get some insight into the tunnels. It also delves even further into some of the hidden symbolism behind the film’s cinematography, as well as the way some of the musical choices play into the movie. Overall, this video does a nice job of buttoning up many of the motivations behind the filmmaking choices as a whole by Peele. What are your thoughts on the ending of Us? Do you have a theory on the film’s underlying meaning? Make sure to let us know in the comment section below!